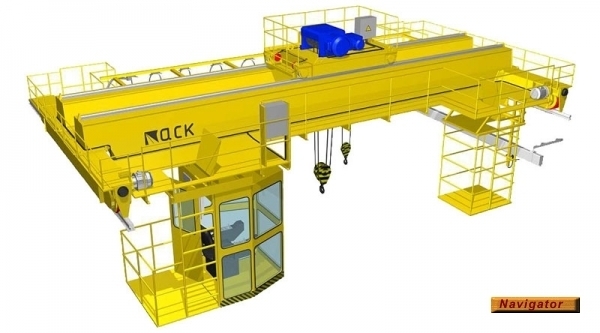 8 years of operation of the crane at the constant growth of production affected the technical condition of the components and mechanisms, located on the trolley. Following the Volga-FEST modernization has modern cargo winches. Motor control is carried out with the latest frequency converters. On the crane truck mounted redundant safety devices. "Modernization of the crane has improved the smoothness trucks and cargo movement, and generally ensured high reliability and ease of use. And, thanks to modern equipment, set up a safety margin for the years ahead ", — said Victor Zhuravskii, chief engineer of the Volga-FEST. Frolovskiy EAF Plant (Volga-FEST) is located in the city of Volgograd Oblast Frolovo. The main activity — production and sale of steel continuous casting billet carbon steel grades for further re-rolling. The plant is equipped with electric arc furnace capacity of 50 tons (DSP-50) for the installation of secondary treatment of liquid steel and continuous casting machine.